Two Chairs offers a new take on therapy using data driven algorithm matching to find therapists for clients, and focusses on minimizing all the pain points found in traditional mental health treatment. 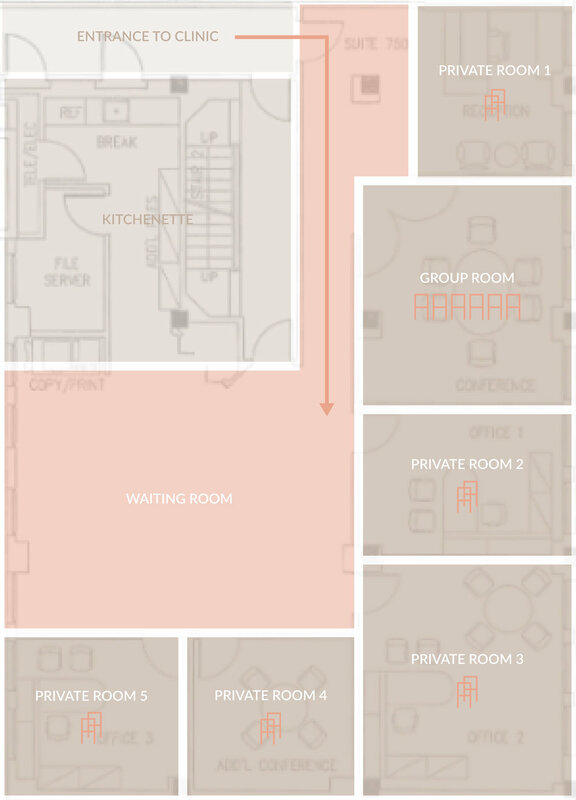 We worked on their branding and website earlier this year, and have helped them design their first physical clinic space in down town San Francisco. Together, we looked at the entire online and offline client experience, from space planning and sign design to curating furniture and accessories. Our mission was to create a warm and welcoming space, that maintained a professional air. We drew inspiration from minimalist and functional Scandinavian design, and brought in warmth through picking hand crafted artefacts, and employing a warm colour and material palette. We kept the look light and airy to maintain a relaxed and calm atmosphere. Designing the entrance to the clinic was tricky, as, contrary to most doctors clinics, the clients aren't going to be greeted by a human. Hence, we had to ensure the design delivered a warm, inviting and non-intimidating experience. The use of fresh flowers, hand painted warm coloured compositions and friendly signs (in paper and wood) aided us in this endeavour. We also used furniture pieces and accessories such as consoles and planters, usually found in the entrance to homes, to accentuate the warm and welcoming entrance, making up for the lack of actual human presence. We wanted to deviate as far away from a typical doctor's waiting room as possible, and endeavoured to create a relaxing and engaging waiting room experience that clients would enjoy spending time in. We started with creating separate nooks for the clients, a lounge chair by a bookshelf, a high table wrapping around a pillar and a bench by the window to give a few examples. We thoughtfully selected books based on the artists featured in the space, furniture design, nature, and topics related to San Francisco. We also wanted to offer our clients tea and other beverages to add a touch of hospitality and add to the warmth of the space, and hence put together a tea station along one wall. 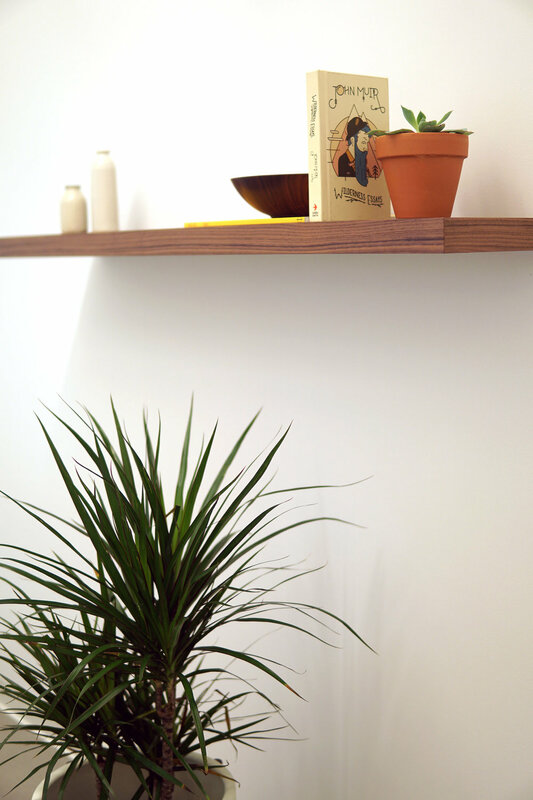 Wooden bowls and copper trays were used to make the space look well considered and not make-shift. In general, we wanted to think through every detail to make the space feel as warm and familiar as possible. 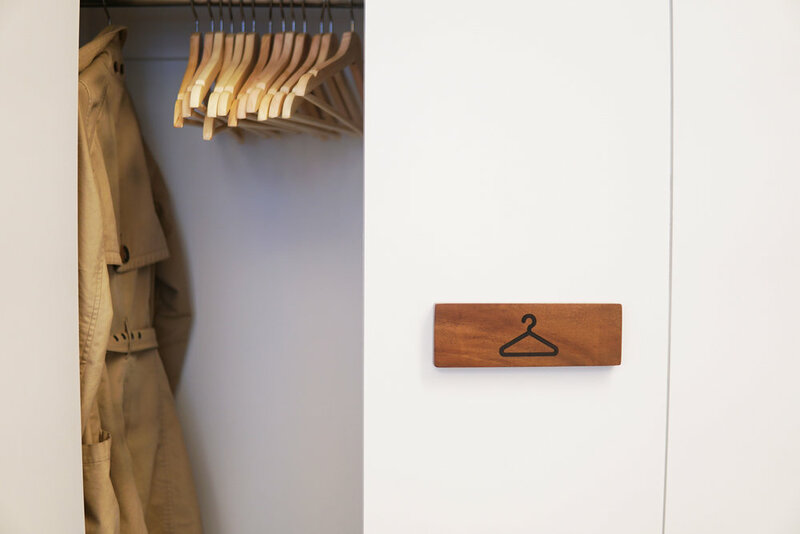 For example, a number of walnut wood signs were placed to help clients navigate the space, which, while informative, also blended in with the aesthetics of the clinic, not conforming to the dry form signages in public spaces usually take. We also relied heavily on the use of fresh plants to create an inspiring enviroment. The first and most essential part of designing the private therapy rooms, were picking the right chairs. We chose upholstered chairs, with a right pitch that was both comfortable, yet didn't allow the patient to sink too deeply or feel trapped in. The chairs were arranged in a casual manner around a coffee table, which had wood or ceramic objects, and a pitcher of water, which would be offered to them by the therapist. This was to make the space feel more personalised and comforting. Each room also had it's own unique selection of art, as well as books and objects, arranged on a floating shelf, as well as two clocks, in plain sight for the therapist and the client to be able to see at all times. We spent a lot of time picking art for the space to add to the environment. Eventually we went with paintings, photographs and prints that had soothing colour palettes and harmonious compositions, adding to the over-all soothing aesthetic. A member of the Two Chairs team also managed to find an archival print of the building in which the clinic was located (bottom left) that we thought added a nice local touch to the interiors!